Since the Paris attack of 13 November 2015, which killed 130 people and injured hundreds of others, the headlines of the various news outlets and social media have been keeping analysts and experts busy examining this murderous act ─ and its future ramifications not only for France and Europe but also the entire world. The attack came days after another (suicide) attack was carried out that targeted a southern suburb of Beirut, killing forty innocent civilians. A few days earlier, a Russian air plane had been downed, taking the lives of more than 200 people. All these attacks were carried out by ISIS which straightforwardly has claimed responsibility. Ever since the atrocities, the focus has been on mainly, if not only, the Paris attacks and on aspects of minor relevance such as the portraits of the individual perpetrators, their past and upbringing, their affiliation with ISIS, and how they managed to plan and carry out the attacks. Even though the investigation of this security-related information is crucial, more important questions related to the larger context of the relationship between the West and the Middle East need to be tackled courageously and now. Of course, 13 November 2015 will be added to 11 September 2001 in the calendar listing murderous attacks of Islamist zealots against American and European targets. The implication here is that the world is sailing into, even being steered towards an episode similar to the one that followed 11 September, which failed to produce security and stability– not for western capitals, nor for the Middle East. This new episode of the war on terror is equally unlikely to succeed as long as western powers persist in placing their domestic security above stability and security in the Middle East. Achieving durable security and stability in the western capitals such as Paris and London, adamantly necessitates achieving security and stability in Arab capitals such as Baghdad, Damascus, Sana’a, and Jerusalem. Since 9/11 and the ensuing “war against al-Qaeda terror,” neither peace nor democracy was brought to the Middle East. Instead, al-Qaeda has been replaced by another, notoriously militant group called ISIS. 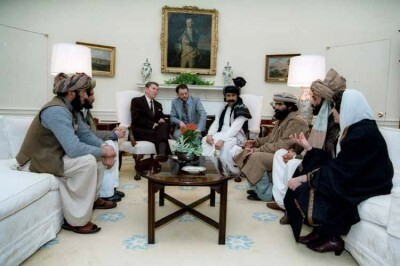 Both al-Qaeda and ISIS are made up of heirs of the militant Islamists who were supported by western countries in the 1980s, during the Soviet intervention in Afghanistan. Back then, they were called mujahedeen, and were offered funds and weapons to fight on behalf of the United States and its allies. In those days, these Jihadi groups, a name that carries negative connotations now, were perceived as “the good guys” since they served the western objective of fighting communism. As unveiled in the Washington Post, “In the twilight of the Cold War, the United States spent millions of dollars to supply Afghan schoolchildren with textbooks filled with violent images and militant Islamic teachings, part of covert attempts to spur resistance to the Soviet occupation. The primers, which were filled with talk of jihad and featured drawings of guns, bullets, soldiers and mines, have served since then as the Afghan school system’s core curriculum.” In sum, ISIS is an extension of the groups that the United States has perceived in the past as fighters against tyranny. The instrumental role of these Islamist groups in the US strategy at the time was summed up by the former chief of the CIA, Robert Gates in his memoirs “From the Shadows”, when he admitted that American intelligence services began to aid the Mujahadeen in Afghanistan six months before the Soviet intervention, knowing that such aid will induce a Soviet military intervention. This approach was a continuation of the strategy adopted, at least since the 1950s, a strategy that perceived hard-core Islamists as allies because they were seen a fierce anti-communists and opposed to nationalist leaders such as Nasser in Egypt and Mohammed Mosaddak in Iran. First, the investigation of the reasons for the attacks against the French capital can be better served by linking them to recent developments, of the last century or so, than by linking them to Islam which is 1400 years old. The former allows for the explanation of the shortsightedness of the Western approach towards the Middle East and the identification of the root causes of the animosity between the peoples that live on the two banks of the Mediterranean, whereas the latter allows only for the perpetuation of a self-produced narrative about the different Other that produces neither mutual understanding or respect, nor security, a mutual sense and assurance of security. Third, in order for France – and the West in general – to succeed in combating terror, one unified yardstick must be employed that values and cherishes all human lives equally, regardless of religion and ethnic affiliation. This implies that terror is ugly not only when it reaches Paris, London, and New York but also when it takes the lives of ninety-seven people in the Turkish capital on 10 October 2015, and forty people in a southern suburb of Beirut on 12 November 2015, and over one hundred people in Palestine killed by the Israeli colonial settlers and their protective army over the month of October 2015. State-sponsored terror by the US and UK, under Bush and Blair in particular, that took lives, injured and displaced millions in Iraq and Afghanistan is as ugly and vicious as the Paris attacks. Unless the above four issues are acknowledged, encountering Jihadists through racism is a lost battle. Basem Ezbidi holds a PhD in political theory from the University of Cincinnati in the United States. Currently, teaches at Qatar university. He has written on aspects related to Palestine, the West and the Moslem World, Hamas, state-building, democratization, political reform, corruption, and development.